after working with Georgia Manufacturing Extension Partnership. Precision Products Inc. is a high precision parts manufacturing company based in Dalton, Georgia. DALTON, Ga. — Precision Products Inc. obtained a new quality management certification that has allowed the Northwest Georgia-based company to serve the aerospace industry, invest in its plant, and create jobs. The certification — AS9100C — followed Precision Products’ work with the Georgia Manufacturing Extension Partnership (GaMEP), which helped the company create and continuously improve its quality management system. A program of the Georgia Institute of Technology, GaMEP works with manufacturers across the state to help them reduce costs and increase growth. AS9100C certification is part of a widely adopted and standardized quality management system for the aerospace sector. Since the AS9100C certification, the company has increased annual sales by more than $3.5 million, invested in excess of $1.5 million in new equipment, and hired several new employees specific to the aerospace market to help meet the increased demand. 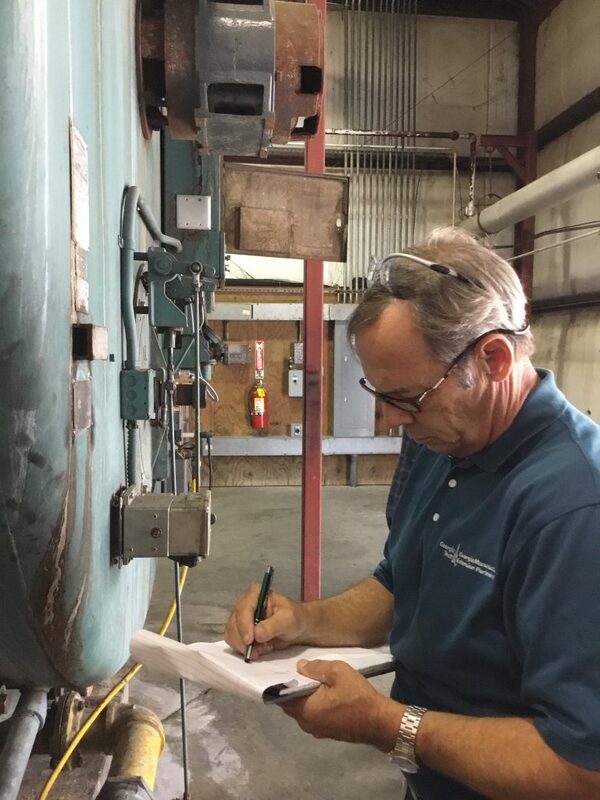 “The quality management system implementation process allowed us to work with Precision Products to help analyze and problem solve their daily operations, communication systems, and documentation efforts,” said Craig Cochran, a project manager at GaMEP, which has worked with Precision Products for the past 10 years. The GaMEP was instrumental in Precision Products obtaining an earlier certification — ISO 9001 — which allowed the company to then pursue the AS9100C designation. ISO 9001 is the international standard for quality management systems that helps organizations ensure they are in compliance with the needs of their customers while simultaneously adhering to statutory and regulatory requirements related to a given product or service. That certification led to more opportunities for new customers in several different industries, including the aerospace sector for Precision Products. The aerospace sector was a perfect business expansion target for Precision Products because the company’s core competencies of tight tolerances and exacting specifications are critical in aerospace. However, the company soon realized some aerospace manufacturers require even more stringent controls depending on the types of parts being supplied. So, the company worked with GaMEP to pursue and obtain AS9100C certification. Founded in 1993, as a family/woman-owned business in Dalton, Georgia, Precision Products Inc., is a high precision parts manufacturing company. 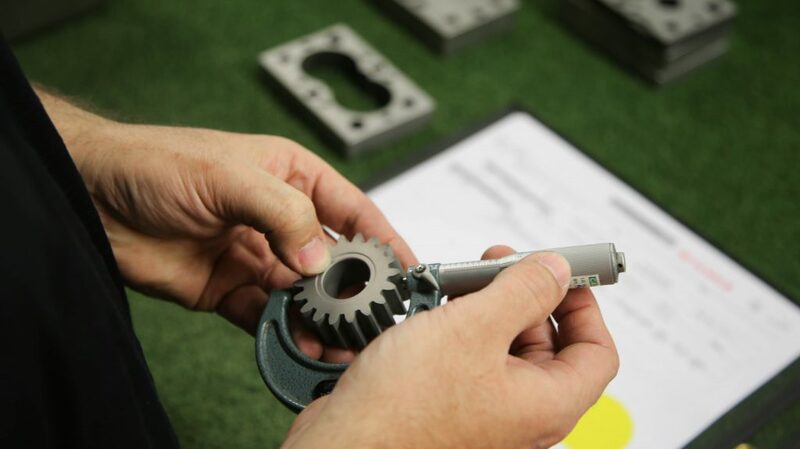 They make parts to order, either based on provided specifications or through reverse engineering, to support manufacturing operations in a variety of industries. For more information, please visit ppiparts.com. 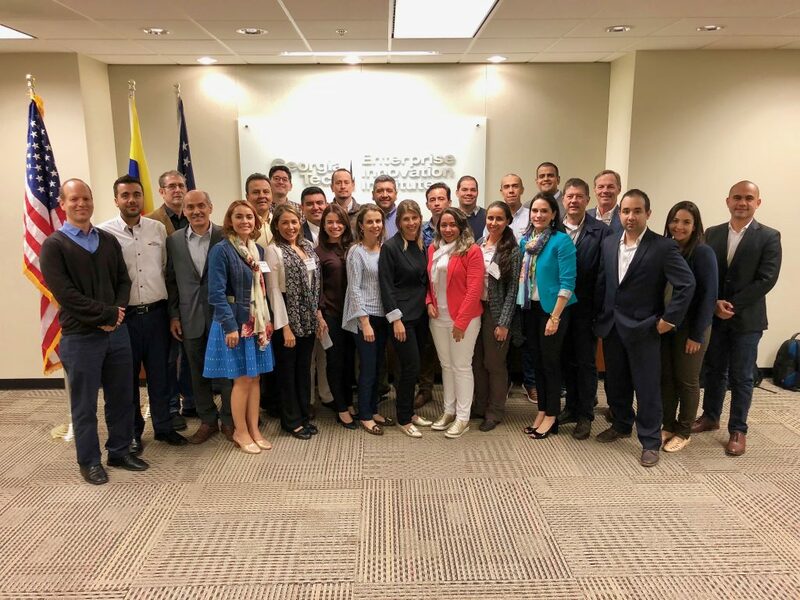 The Georgia Institute of Technology’s Economic Development Lab (EDL) and the Georgia Manufacturing Extension Partnership (GaMEP) are hosting a group of 23 professionals from Colombia this week, consisting of engineers and business managers from the cities of Medellín, Cali, and Bucaramanga. The group is accompanied by representatives of the Colombian Confederation of Chambers of Commerce (Confecámaras), and the Ministry of Commerce, Industry and Tourism’s Program of Productivity Transformation. All are participating in a week-long training program in technology extension. The program also includes a site visit to a manufacturing company in Georgia to observe its facilities and learn how it has implemented strategies to increase productivity and competitiveness. EDL helps communities and organizations create jobs and become more competitive through the application of innovative ideas to economic development. Areas of expertise include business incubation and commercialization, strategic planning, and economic sustainability. The GaMEP is a state and federally funded initiative and member of the national MEP network that is supported by the National Institute of Standards and Technology (NIST). GaMEP works with manufacturers across the state of Georgia and offers a low-cost, solution-based approach through coaching and education designed to increase top-line growth and reduce-bottom line costs. 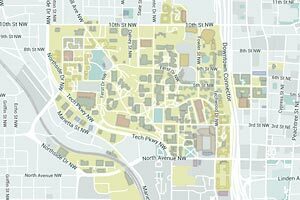 Both programs are offerings of the Enterprise Innovation Institute, which is Georgia Tech’s economic development arm. 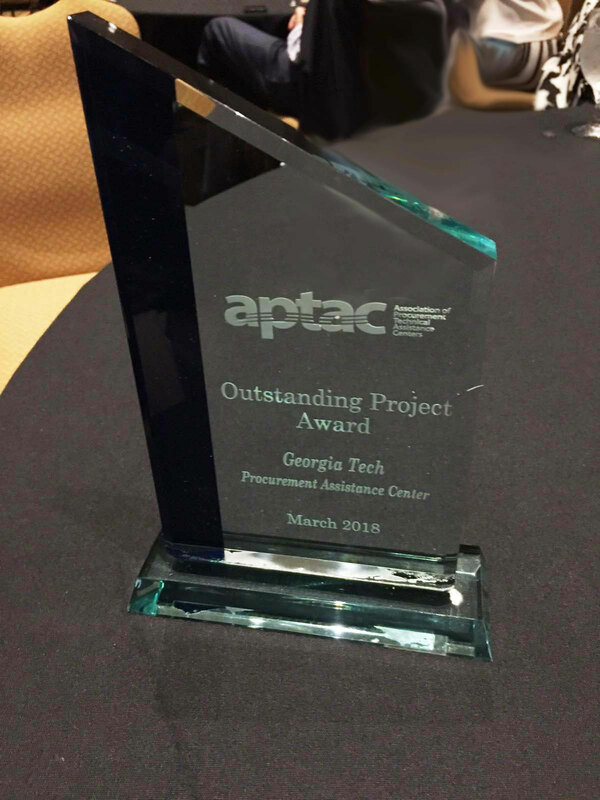 GTPAC received the Outstanding Project Award at APTAC’s annual training conference on Mar. 7, 2018. A Georgia Tech-produced free instructional video that provides step-by-step guidance to government contractors seeking compliance with Department of Defense (DoD) cybersecurity requirements received the Outstanding Project Award from the Association of Procurement Technical Assistance Centers (APTAC). The award, given annually, recognizes an accomplishment that stands out from the day-to-day activities that all PTACs organize and undertake. 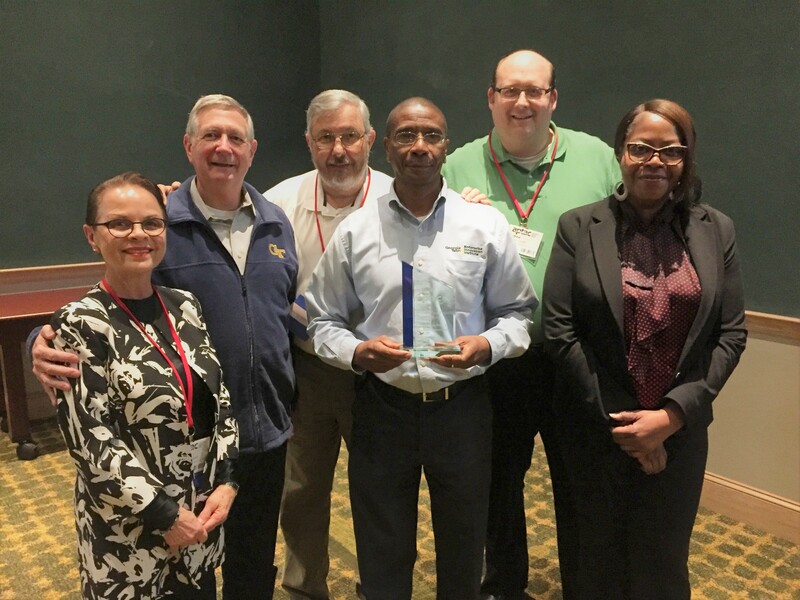 The Georgia Tech Procurement Assistance Center (GTPAC), which produced the 20-minute video and related template for contractors’ use, accepted the award on March 7, 2018 at APTAC’s spring conference in Jacksonville, Fla. APTAC represents 98 procurement technical assistance centers across the United States and the U.S. territories of Guam and Puerto Rico. GTPAC is an economic development program of Tech’s Enterprise Innovation Institute (EI2). It helps Georgia enterprises identify, compete for, and win government contracts. Funded in part through a cooperative agreement with the U.S. Department of Defense, GTPAC’s services are available at no cost to any Georgia businesses that have an interest and potential to perform work — as a prime contractor or a subcontractor — for federal, state, or local government agencies. The video is accessible at this link: gtpac.org/cybersecurity-training-video. Its accompanying resources include a cybersecurity template for contractors’ use. The video and template were funded through a cooperative agreement with the Defense Logistics Agency, and created with the support of the Georgia Institute of Technology. The content of the video presentation does not necessarily reflect the official views of, or imply endorsement by, the DoD, the Defense Logistics Agency, or Georgia Tech. Members of the GTPAC team proudly show off the national award. Both PTACs, which counsel businesses, and businesses themselves have heralded the video and template as valuable one-stop resources for existing contractors and aspiring DoD contractors alike. Since the 2017 launch of these training tools, 1,284 persons have viewed the video and downloaded the template 1,508 times. Specifically, the video explains Defense Federal Acquisition Regulation Supplement (DFARS) clause 252.204-7012, including its key definitions and cyber obligations, including its primary requirement that defense contractors which process, store or transmit “covered defense information” must address 110 individual cybersecurity controls outlined in National Institute of Standards and Technology (NIST) Special Publication 800-171. The 20-minute-video not only provides information on these requirements, but also provides specific guidance on how government contractors can achieve compliance with the DFARS clause and the NIST standards. The video guides government contractors on how they can perform a “self-assessment” of their information system using NIST’s Manufacturing Extension Partnership (MEP) Cybersecurity Self-Assessment Handbook. One of the most creative and innovative aspects of the project is the 127-page cybersecurity template GTPAC created in conjunction with the video. The template provides step-by-step instructions on how government contractors can create a “Systems Security Plan” and “Plan of Action” — documentation necessary to achieve compliance. The template makes the process of drafting the required documentation easier, as contractors merely have to fill in the blanks and answer specific questions, rather than work from a blank slate. While it is ultimately up to the contractor to meet the requirements and to fill in the blanks, GTPAC’s video and template provide contractors with an excellent starting point for assessing, achieving and documenting compliance. In honoring GTPAC with the Outstanding Project Award, APTAC encouraged other PTACs to make use of the video, template, and resource materials. NIST recently provided similar encouragement to its nationwide MEP network — including the Georgia Manufacturing Extension Partnership (GaMEP) — in their work with U.S. manufacturers. GTPAC coordinated the creation of the cybersecurity materials with GaMEP, which is a sister economic development program offered through Tech’s EI2. The word and what it represents is driving a lot of discussion about what that means for manufacturers and for those in economic development tasked with bringing industry — and jobs — to their communities. 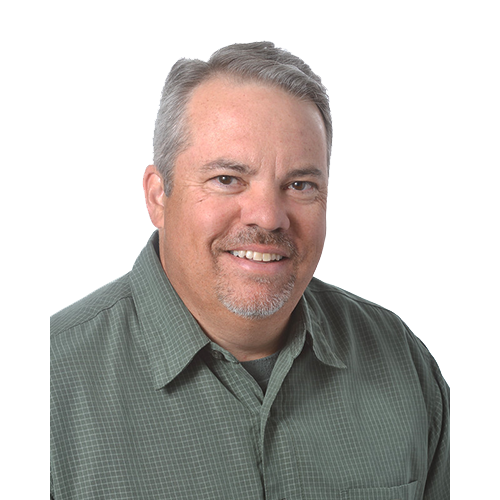 But automation is not the boogeyman people think it is, said Mark Ligler, vice president of Factory Automation Systems. The Atlanta-based company is a systems integration resource for many of the top manufacturers in the United States and supports them in programmable controller and drive systems, robot integration, and information solutions. Ligler made his remarks as part of a panel discussion, “What Automation means for Your Community” at the 51st annual Basic Economic Development Course (BEDC) held Feb. 27 through March 2. 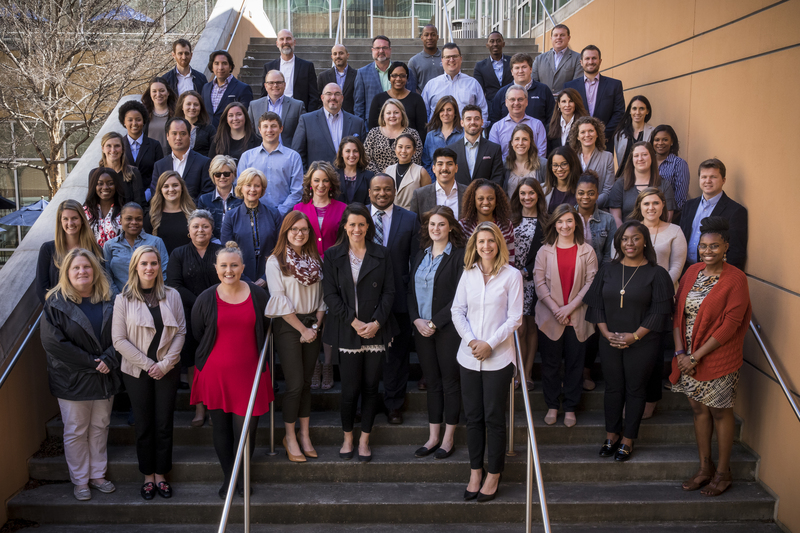 The interactive professional development course is produced by the Georgia Tech’s Center for Economic Development Research (CEDR) and offered in partnership with the International Economic Development Council (IEDC). It provides seasoned economic development professionals and those new to the field with the core fundamentals of business attraction, workforce development, retention and expansion, and entrepreneur and small business challenges, as well as transformative trends in the industry. The 2018 BEDC theme — “Automation and Economic Development” — centered on how that is changing a number of industries and drove the panel discussions and other events for the 65 attendees who came from across the country. “The research tells us that in roughly 60 percent of current occupations that at least a third of tasks performed in those jobs could be automated,” said Karen Fite, director of the Georgia Manufacturing Extension Partnership (GaMEP). A federally funded program at Georgia Tech, GaMEP works with manufacturers in the state to increase their competitiveness and efficiency and boost productivity. 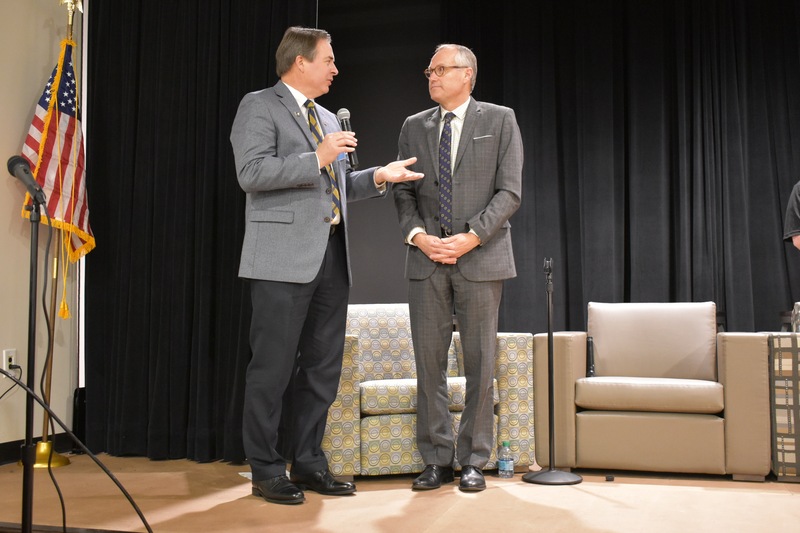 Fite, who moderated the panel, said the question for those in economic development and manufacturers is to understand how automation will affect business and industry and how to best prepare for the jobs and skills it will require. It was a sentiment echoed by other panelists, which included Josh Benton, executive director of the Kentucky Cabinet for Economic Development; Tom Sammon, a GaMEP project manager specializing on implementing Lean manufacturing practices and helping companies develop capital equipment applications, and John Fluker, president and chief sales officer of Grenzebach Corp. in Newnan, Ga.
“Automation, when you look at it from a longterm perspective, is all about competitiveness,” Fluker said. “Competitiveness and demographics are driving automation,” he said, adding the technologies behind it are helping create a new landscape with jobs that demand new skills. GRIFFIN, GA — At 4 a.m. on many mornings, 17-year-old Cole McKeehan is already at work at E.G.O. North America in Newnan, Georgia. McKeehan, a junior at Northgate High School in Newnan, is a student apprentice at E.G.O., which makes radiant heating elements and electronic components such as touch controls and induction heaters at the facility. He is in his second year of the program — the Georgia Consortium for Advanced Technical Training (GA CATT) — and is gaining practical experience in machining and lathing. McKeehan is developing those skills under an apprenticeship program that would let him graduate high school with technical college credits. He can use those credits toward earning an associate’s degree in industrial mechanics from West Georgia Technical College. McKeehan was one of several teens in GA CATT who shared their experiences Nov. 13 at Georgia Lt. Gov. 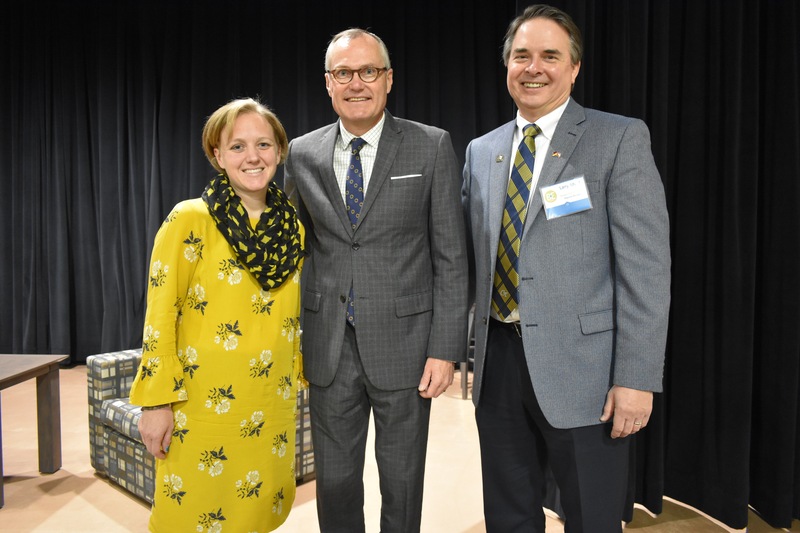 Casey Cagle’s 10th Annual Business & Education Summit. The session where the teens spoke, held on the first day of the two-day summit and hosted by the Griffin Region College and Career Academy, brought Georgia’s business and education leaders together for a series of collaborative meetings. The hope is that these meetings will lead to innovative ideas and initiatives to better prepare high school students for the demands of a 21st-century workforce. 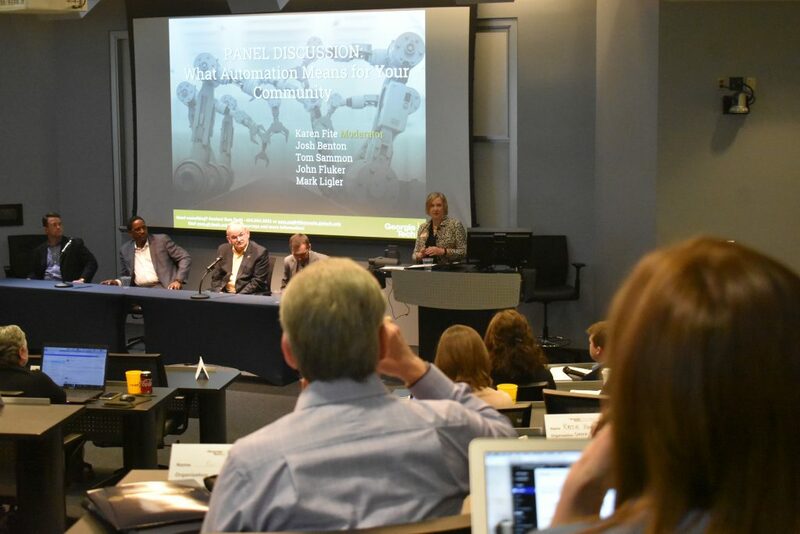 The GA CATT session, which also featured business leaders and officials from the Georgia Institute of Technology who worked on its development and implementation, was designed to answer questions from summit attendees, as state officials look to expand it statewide. The Georgia initiative was launched in 2016 with support from the German American Chamber of Commerce of the Southern U.S., the Technical College System of Georgia, West Georgia Technical College, and the Central Educational Center, as well as Georgia Tech’s Georgia Manufacturing Extension Partnership (GaMEP) and Safety and Health Consultation Program. The GA CATT program seeks to follow the German apprenticeship dual education model and begin with 10th graders, the only program in the U.S. currently doing so. As in Germany, GA CATT requires participating Georgia high school sophomores, juniors, and seniors to spend 70 percent of their time working at their host company and the remaining 30 percent in the classroom. The 70-30 split is designed to allow them to graduate on time with a high school diploma and earn technical college credentials while obtaining real, hands-on experience in a workplace and technical skills that they can use to build their careers. In addition, apprentices have the opportunity to attain a German Certification in Industrial Mechanics that is accepted in Europe and beyond as evidence of their skill and knowledge. The student apprentices are paid for their time at the company, earning $8 an hour when they start and $12 per hour as seniors. Two German companies with operations in Newnan — Grenzebach Corp. and E.G.O. North America — were committed to launching GA CATT and served as the catalysts for the program. 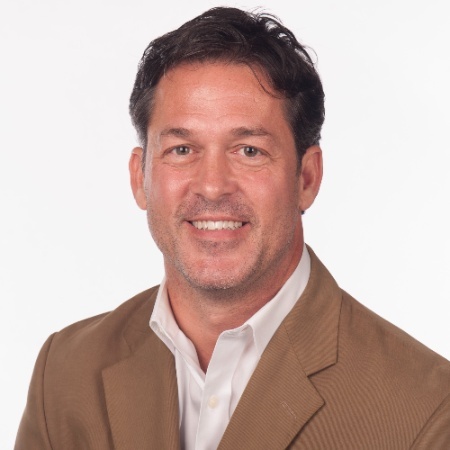 The companies asked Larry Alford, GaMEP’s South Metro Atlanta region manager, to leverage his long-term relationships with local companies to invite them to join the program. GA CATT began with eight companies and 10 apprentices. GaMEP, which works with manufacturers to innovate, increase top-line growth, and reduce bottom-line costs, also supported the GA CATT initiative, as did the Institute’s Safety and Health Consultation Program. That commitment on all sides also helps manufacturers build a pipeline of talent, said David Keller, E.G.O. North America’s president and managing director of operations. 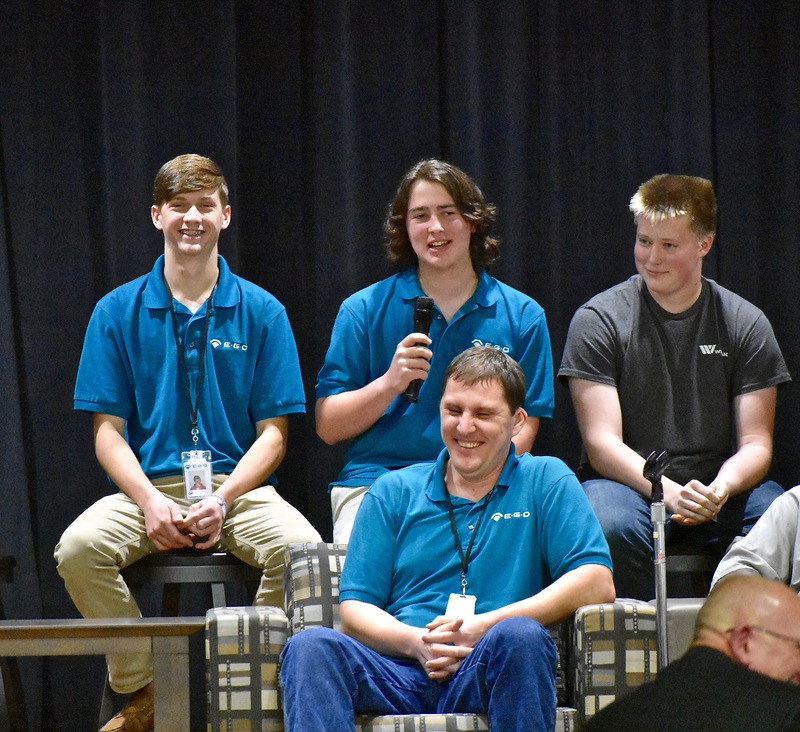 In an industry that has historically had a difficult time finding a skilled workforce, these companies are looking to the future, by developing interest and relationships with talented students early on, he said. The goal is that after graduation, the students will work for those companies where they apprenticed. Jenny Houlroyd, an industrial hygienist with Tech’s Safety, Health, and Environmental Services program, is helping GA CATT companies understand and comply with U.S. labor laws that provide flexibility for apprentices under 18 to enter the workforce as student-learners. In 2017, GA CATT added two additional clusters, centered in Rockdale & Newton Counties and Spalding County. Each cluster includes local manufacturers, their local college and career academies, and the local Technical College. Alford facilitates the implementation teams in each cluster. A total of 18 manufacturers and 28 students currently participate in the program. Jeremy Little is one of four Georgians to be awarded in October. 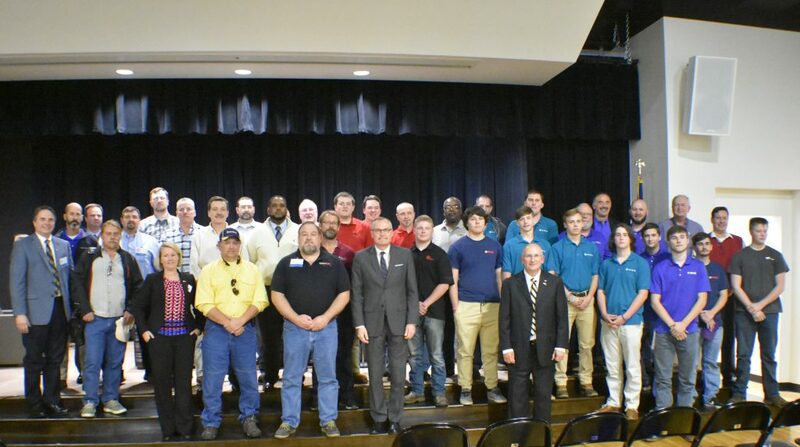 THOMASVILLE, Ga. — The Georgia Manufacturing Extension Partnership (GaMEP) has named Jeremy Little a 2017 Faces of Manufacturing Award recipient. 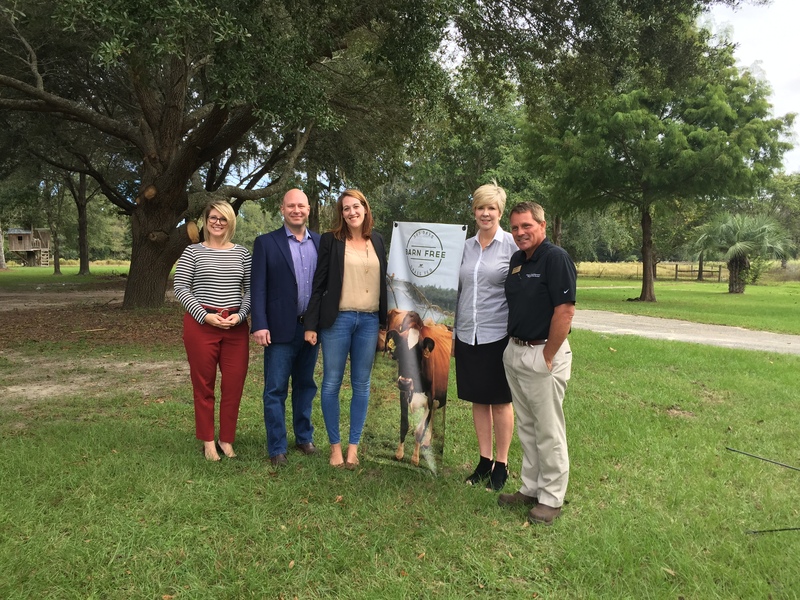 Little, the co-owner of Sweet Grass Dairy in Thomasville, is one of four Georgians who are being recognized for their respective contributions and commitment to the manufacturing industry, which is a key driver of the state economy. An internationally recognized and award-winning cheesemaker, Little, who co-owns Sweet Grass Dairy with his wife, Jessica, accepted his award Oct. 17 in a special ceremony at Sweet Grass Dairy’s Thomasville facilities. GaMEP is a federally funded economic development program of the Georgia Institute of Technology’s Enterprise Innovation Institute. It works with manufacturers across the state to help them remain viable and economically competitive. Collectively, more than 10,000 manufacturing companies operate in Georgia. Those companies, which span all sizes, employ more than 365,000 and produce a total manufacturing output of $53 billion per year. The Faces campaign showcases the sector’s importance to Georgia’s economy and Little and the other award recipients were selected through a public voting contest out of 10 finalists. Following more than 4,500 votes cast, Little emerged as one of the top four. Jessica Little’s parents founded Sweet Grass Dairy in 2000 and she and her husband acquired it in 2005. The company has since expanded and its six varieties of cheese are sold in more than 38 U.S. states. The company’s cheeses have won more than 20 ribbons from the American Cheese Society and several international awards. affected by manufacturing in Georgia. For more information, please visit gamep.org/faces-of-manufacturing/. The Georgia Manufacturing Extension Partnership (GaMEP) is an economic development program of the Enterprise Innovation Institute at the Georgia Institute of Technology. The GaMEP is a member of the National MEP network supported by the National Institute of Standards and Technology. With offices in nine regions across the state, the GaMEP has been serving Georgia manufacturers since 1960. It offers a solution-based approach to manufacturers through coaching and education designed to increase top line growth and reduce bottom line cost. For more information, visit gamep.org. Founded in 2000 and based in Thomasville, Ga., Sweet Grass Dairy is a 140-acre, family-owned-and-operated farm. Our award-winning cheeses are made from the milk of Jersey Cows and delivered to customers across the United States with exceptional quality. To learn more, please visit sweetgrassdairy.com. Jason Alford is one of four Georgians to receive the 2017 award. AUGUSTA, Ga. — The Georgia Manufacturing Extension Partnership (GaMEP) has named Jason Alford a 2017 Faces of Manufacturing Award recipient. Alford, vice president, Integrated Supply Chain for Textron Specialized Vehicles Inc. in Augusta, is one of four Georgians who are being recognized for their respective contributions and commitment to the manufacturing industry, which is a key driver of the state economy. 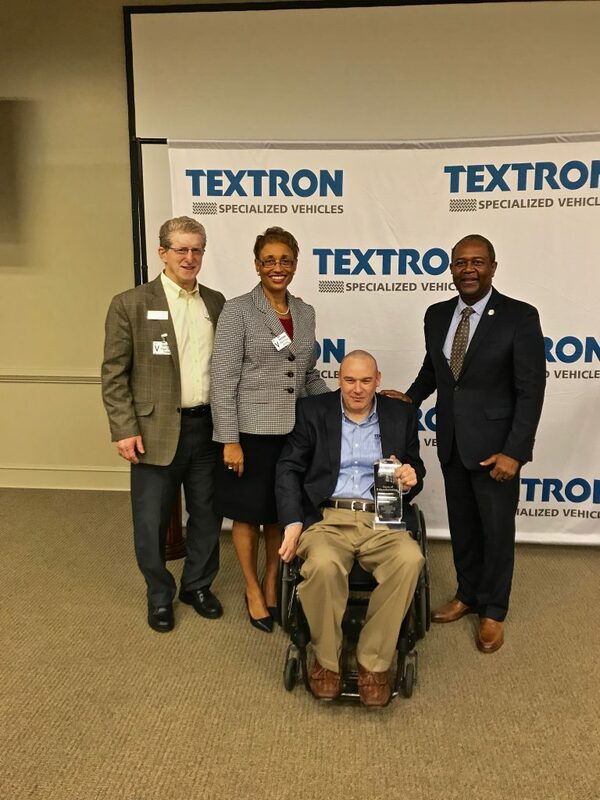 Alford, who has been with Textron for 14 years, accepted his award Oct. 10 in a special ceremony at the company’s Augusta facility. The Faces campaign showcases the sector’s importance to Georgia’s economy and Alford and the other three award recipients were chosen through a public voting contest consisting of 10 finalists, selected from an initial pool of nominations. Following more than 4,500 votes cast, Alford emerged as one of the top four. Textron Specialized Vehicles, a Textron Inc. (NYSE: TXT) company, designs and manufactures a wide variety of vehicles and equipment under several well-known brands. The company’s products include E-Z-GO golf cars, Arctic Cat snowmobiles, Cushman commercial utility vehicles, Textron Off Road side-by-sides and ATVs, Jacobsen professional turf-care equipment, and Dixie Chopper zero-turn mowers. In addition, the company manufactures ground support equipment for the aviation industry under its Textron GSE umbrella. The company employs about 1,400 people in Georgia and more than 4,200 worldwide. Alford began at Textron as director, financial planning and analysis, but discovered he had a natural talent for manufacturing integration. His high-level knowledge of the company from a finance and planning perspective, coupled with a deep understanding of business processes in manufacturing, gave him unique insight into the company. Alford is committed to sharing his passion for manufacturing with youth. 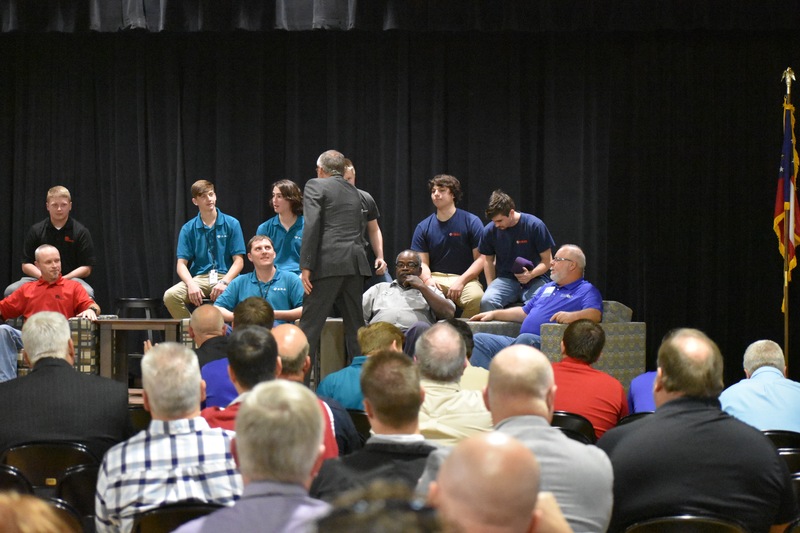 He spearheaded Textron Specialized Vehicles’ partnership with the Richmond County School System to create the Reaching Potential Through Manufacturing (RPM) program. The program, now in its second year, provides high school students at risk of dropping out with an alternative path to graduation, even as they earn valuable manufacturing work experience building components for TSV products. Alford, who is wheelchair-bound after surviving a motorcycle accident several years ago, drew on his own lessons learned from persevering during his recovery as inspiration in creating the RPM program. Manufacturing Extension Partnership that honors the people who work in or are affected by manufacturing in Georgia. For more information, please visit gamep.org/faces-ofmanufacturing/. Textron Specialized Vehicles Inc. is a leading global manufacturer of golf cars, utility and personal transportation vehicles, snowmobiles, side-by-sides, all-terrain vehicles, professional turf-care equipment, and ground support equipment. Textron Specialized Vehicles markets products under the E-Z-GO®, Cushman®, Arctic Cat®, Textron Off Road™, Jacobsen®, Dixie Chopper®, Ransomes®, TUG™, Douglas™, Premier™ and Safeaero™ brands. Its vehicles are found in environments ranging from golf courses to factories, airports to planned communities, and theme parks to hunting preserves. To learn more, visit textron.com. Textron Inc. is a multi-industry company that leverages its global network of aircraft, defense, industrial and finance businesses to provide customers with innovative solutions and services. Textron is known around the world for its powerful brands such as Bell Helicopter, Cessna, Beechcraft, Hawker, Jacobsen, Kautex, Lycoming, E-Z-GO, Greenlee, Textron Off Road, Arctic Cat, Textron Systems, and TRU Simulation + Training. For more information, visit textron.com.